Looking for a Way to Share Your Talents? Volunteering at The Wetlands Institute covers a variety of tasks including assistance with aquarium care, working in public education and outreach, answering the phones and administrative work, greeting and interacting with visitors, special events staffing, research and conservation project assistant, and much more! We are excited to offer 3 different options for volunteering based on the level of commitment you feel you can give to The Wetlands Institute. None of what we accomplish every day would be possible without the dedication of our wonderful volunteers! We offer 3 different options for volunteering based on your interest area and/or level of volunteer commitment you feel you can give to The Wetlands Institute. The Wetlands Institute is always looking for enthusiastic and responsible Institute Volunteers to help us achieve our mission of promoting the appreciation, understanding and stewardship of wetlands and coastal ecosystems through our programs in research, education and conservation. Being a Institute Volunteer requires a high level of commitment, but offers many rewarding ways to share your talents and interact either directly or indirectly with the public. General application information and completion of Volunteer Waiver. Successful completion of a background check (One-time Fee of $32). Purchase of a Wetlands Institute approved work shirt (One-time Fee of up to $30). 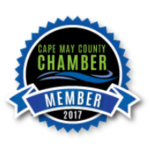 Active membership minimum level of Individual (Annual Fee of $25). Introductory and program area specific training. General application information and completion of Junior Volunteer Permission Slip and Media Release by volunteer’s parent/guardian. 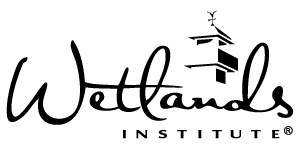 A Wetlands Institute logoed T-shirt chosen by the volunteer (One-time Fee between $10-$20). Click here to learn more about current Institute Volunteer opportunities! Are you interested in helping terrapins, horseshoe crabs, and birds this year? The Wetlands Institute strives to engage the community in science-based stewardship of natural resources. For a limited period of time, Research and Conservation Project Aides will take the lead in assisting with important research and conservation related projects. Let’s work together to protect critical coastal and wetland ecosystems! Completion of Volunteer Waiver signed and completed by volunteer’s parent/guardian. Click here to learn more about current Research and Conservation Project Aide volunteer opportunities! Want to learn more about The Wetlands Institute mission before making a higher level commitment? Volunteering for one day events serve as a great way to get your feet wet with Institute activities while helping The Wetlands Institute in a meaningful way. Sample one day volunteer opportunities include: Beach Sweeps, reTURN the Favor Walks, Horseshoe Crab Spawning Surveys, as well as Festival and Special Event Help, among others. Completion of One Day Volunteer Waiver. Completion of One Day Volunteer Waiver signed and completed by volunteer’s parent/guardian. Click here to learn more about current One Day Volunteer opportunities!